Saturday’s doubleheader in South Bend between the No. 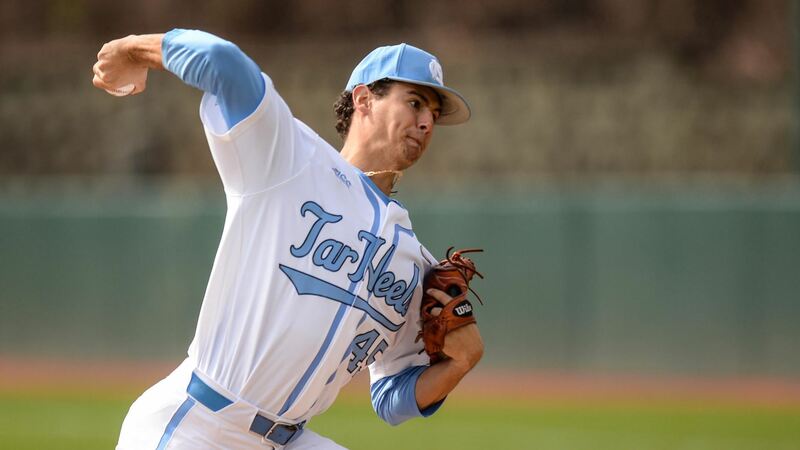 21 UNC baseball team and the host Notre Dame Fighting Irish was dead even, as the teams split the two games–giving the Tar Heels the series victory after their win on Friday. In the first game of the doubleheader, UNC (27-10, 10-8 ACC) clinched the series with a 13-6 win before Notre Dame (13-21, 8-10 ACC) avoided the sweep with a narrow 4-3 win in Game Two. Five home runs powered the Tar Heels in their win, with Dylan Enwiller, Michael Busch, Ike Freeman, Brandon Martorano and Ashton McGee all going yard to lead UNC to victory. In the second game, UNC tied the game at 3-3 with a run in the top of the ninth before Notre Dame won it with a walk-off single with the bases loaded. A game in Charlotte against South Carolina awaits the Tar Heels on Tuesday, with first pitch set for 7:05 p.m.